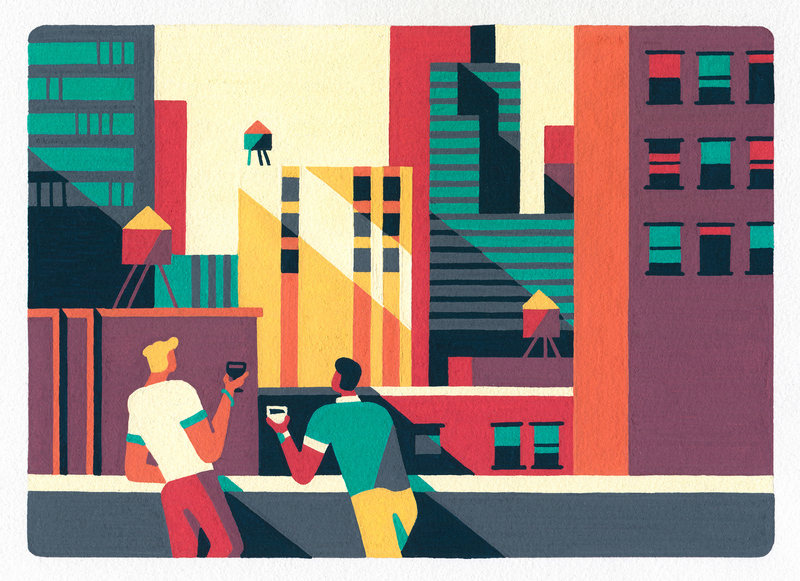 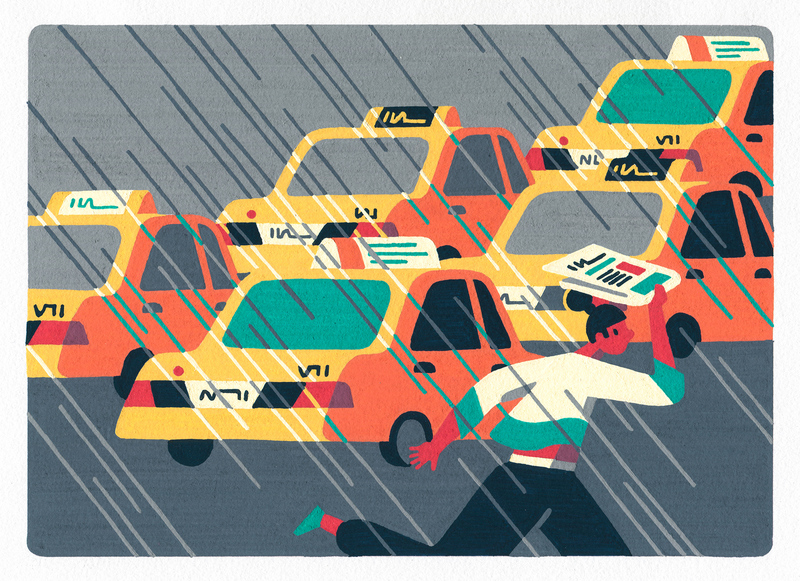 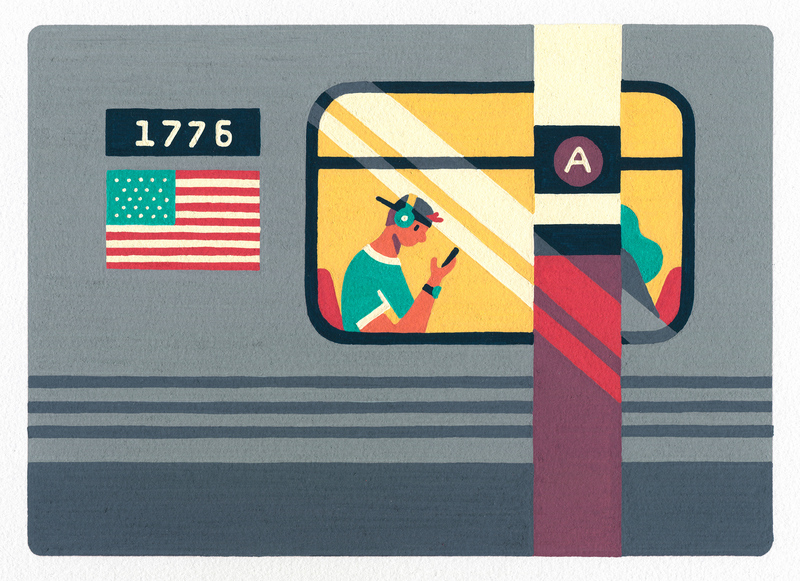 Inspired by a recent trip to New York City, I decided to create a series of illustrations reflecting brief moments in time experienced by locals and visitors alike. 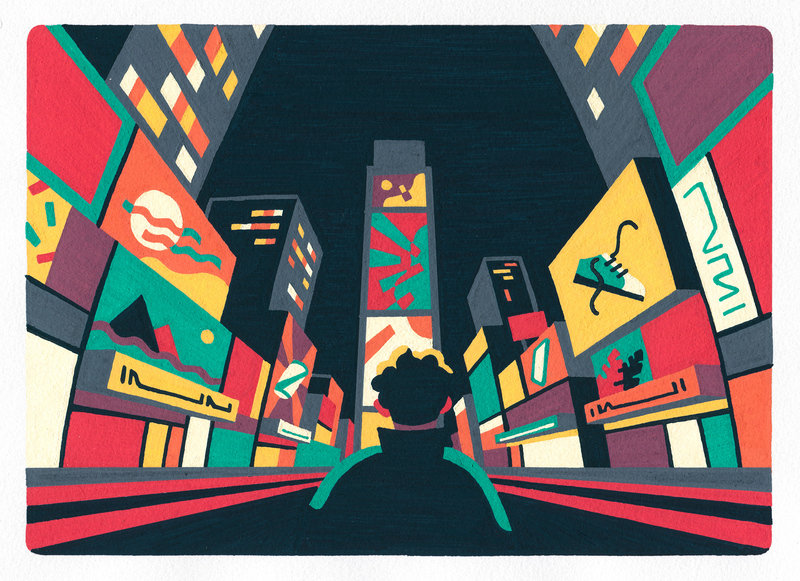 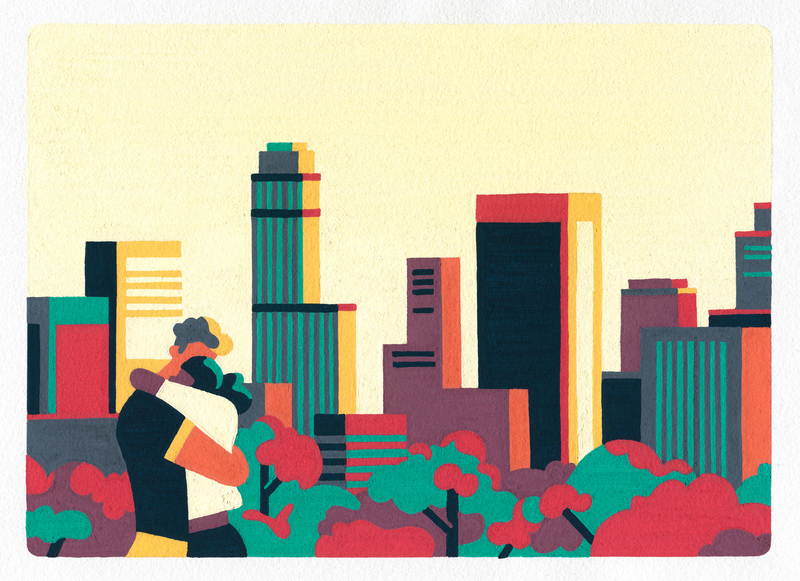 Each illustration is created on paper, hand-painted with Posca markers. 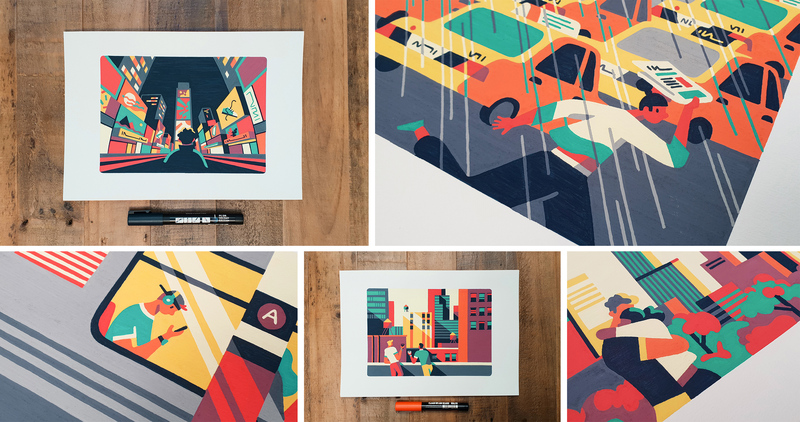 The illustrations are now available to order as limited edition prints here.